The Evolution of Lara Croft from Survivor to Predator - WebGamer.NET | The Website for Gamer. 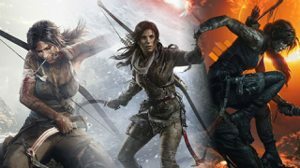 The Evolution of Lara Croft from Survivor to Predator Lara Croft has been through a lot since 2013's Tomb Raider. We delve into how everything she's been through has changed her as a character.